My evening skincare routine generally consists of a makeup remover, cleanser, toner, serum/oil and an eye cream. Sometimes I will opt for a moisturiser on top, however that all depends on which facial oil I have used; more on that in a minute. I often like to mix things up in my routine, although at the same time I tend to stick to what I know and only really incorporate one new product in at a time. That way, I will know what the culprit is if I have an adverse reaction. 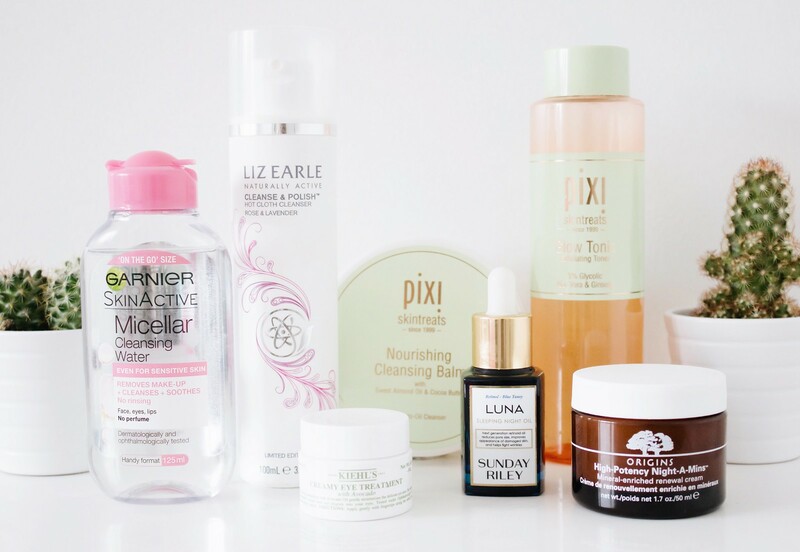 The Garnier Micellar Water is my go to for removing my eye makeup, in fact I am so incredibly biased towards this that I never ever look at alternatives now. That may sound a little bit odd considering I am a beauty blogger who loves nothing more than trying new products, yet honestly, this just works and is insanely affordable (when on offer, although at full price it isn’t bad at all). You can find this in Boots, Superdrug and even your local supermarket which is just one thing I love about this little gem. To date I haven’t yet found any form of eye makeup which it struggles to remove and it also works very nicely along my rather sensitive eyes. It will continue to be a long-term purchase. A double cleanse is what I tend to do every single day of the week, that is because I wear make up every single day of the week. It isn’t necessary if you don’t have a face full of makeup as there isn’t that extra layer which you need to break down. Balm cleansers are one of the best for breaking down makeup on the skin, therefore I tend to use a balm cleanser after using a micellar water on my eyes. The Pixi Cleansing Balm* is simple yet effective and is one that I would recommend if you are looking for a cleanser such as this. Worthy mentions also go out to the Elemis Cleansing Balm* which I do prefer in comparison to the offering from Pixi as it is so incredibly smooth. Once I have used a balm cleanser I then opt to use something which is more cream or gel based. At the moment, I am coming towards the end of yet another Liz Earle Hot Cloth Cleanser, this time in the form of their limited edition scent Rose and Lavender. In all honesty, I do like the odd change to the classic hot cloth cleanser yet in my opinion you cannot beat the original. This was nice but I am happy to be coming to the end of the bottle now. The Pixi Glow Tonic* is incredibly popular within the beauty community and rightly so. This is an exfoliating toner which is gentle on the skin and can be used both morning and evening, however I only tend to use this about three times a week as part of my evening routine. I also like the Liz Earle Skin Boost Tonic, this is light and refreshing which is just what I need after the warm weather we have had this week. Over the last few years I have been extremely loyal to the Kiehls Midnight Recovery Concentrate. This is a light weight oil which hydrates the skin beautifully without leaving it feel too greasy, however, as we hit the warmer weather I do only tend to use this a few times a week and I also avoid putting a moisturiser on top as I feel as though that can be a bit too much for my skin. 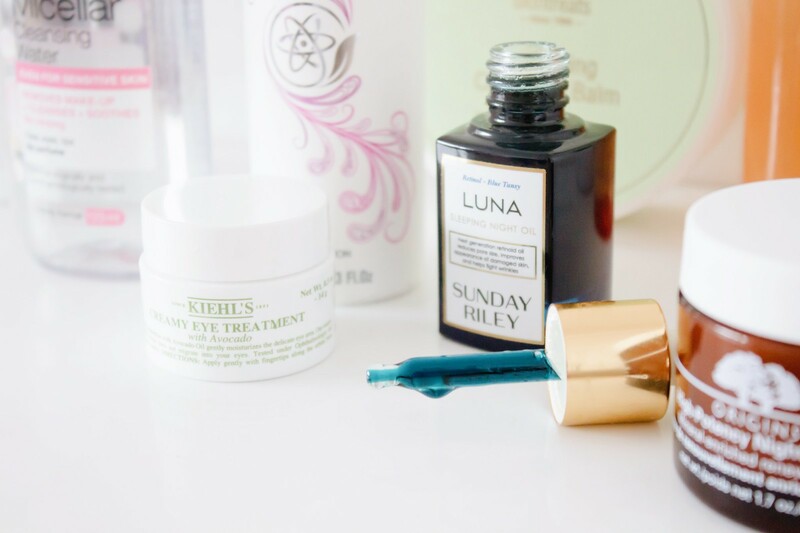 Furthermore, what I have incorporated into my routine within the last four months is the Sunday Riley Luna Sleeping Oil which has received a lot of hype in the last year. Unfortunately, this is not an affordable product by any stretch of the imagination, you’re looking at £80 for the full size. It pains me somewhat to say that at the moment I am on the fence with this one, although I may not be using it regularly enough to reap the benefits. Essentially it is a blue (yes blue) retinoid oil which reduces pore size, improves the skins appearance and helps to fight against wrinkles; I personally can’t see much of an improvement but I am consciously trying to use it more regularly. The trusty Kiehl’s Creamy Eye Treatment with Avocado is once again being featured; I simply cannot get enough of this stuff. For those who haven’t read my blog before, this is probably my all-time favourite beauty product. It is hydrating, affordable in terms of how much you get and how long it lasts you and it works perfectly underneath make up. This does not target dark circles, especially not the 10p size bags I have under my eyes however what it does do is to really help with dehydration which I tend to suffer from around my eyes quite a bit. The Origins Night-A-Mins was once upon a time all over the beauty community, yet these days I rarely hear about it anymore. To this day this is still one of my go to products, it is a really hydrating night cream which also has a lovely scent to boot. 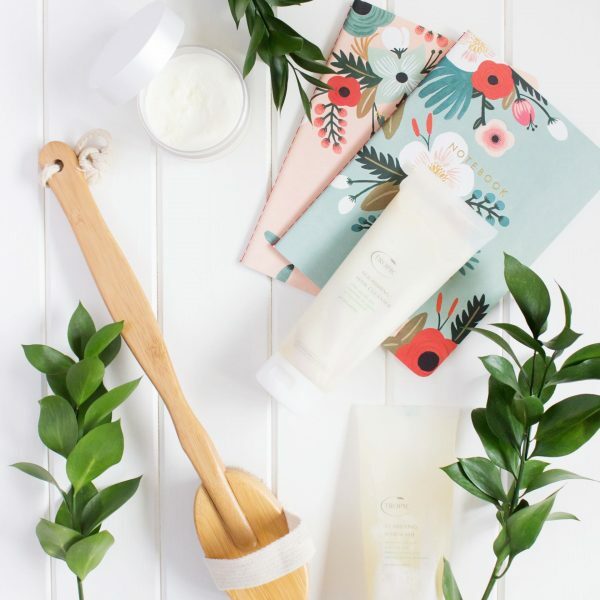 During the warm nights I do avoid using this as it can just be a bit too heavy, yet on a normal ordinary night I have no problems with this at all and wake up with hydrated and refreshed looking skin. You can’t go too wrong with this one.